As someone who comes from a military family, it was important for me to tell this story about what war does to domestic life. What led to your interest in writing about the Iraq War? Did you have a war-related novel in mind first, or a novel about a family dealing with poverty and class issues, or was it always about the challenges of homecoming? It was always my intention to write about the wars the U.S. has been fighting this past decade because it’s part of the fabric of our culture, we’re steeped in it. For the working poor, who make up the majority of army personnel it’s even more immediate. As someone who comes from a military family, it was important for me to tell this story about what war does to domestic life. Exponentially more people than the one who enlists are affected by a deployment, a death, or a mental illness. We’re seeing this all unfold daily in the U.S., and we’ll be seeing it for a long time. How did Lauren Clay come to you? I’m interested in the character you created, an academically gifted student with a rare musical talent who comes from a family that has fallen apart. Lauren is not your typical soldier, even beyond the fact that she is female. Lauren is musically gifted but I don’t think she’s atypical of people in the military. There are plenty of musicians, artists, and creative people who enlist, especially if they don’t have another recourse to making money and can’t afford school. Lauren’s decision to join the army is good for her family economically, but bad for her personally and it’s this conflict that drives the central narrative. She trains to kill instead of continuing to train her voice. Lauren is a classically trained singer with an opportunity to study at a prestigious school. I know you have a background in classical voice. Why did you choose to add this passion to your portrayal of Lauren Clay? I trained as a classical musician, and still sing in a choir. (We’re doing Mozart’s “Great Mass in C Minor” this May!) Part of Lauren being a singer is simply about writing what I know; the other part has to do with the symbolism of sacred music and holy minimalism. Vocal music is primal, deeply emotional, something that requires immense training to perform. A book about war is well suited to all of these things. Can you discuss Lauren’s increasing obsession with the Jeanne d’Arc basin oil fields in Canada? It is an unfamiliar place that provides haunting imagery, as well as a key symbol in the story. Jeanne d’Arc is a salient symbol throughout the novel; a teenage soldier who had to disguise herself as a man, who suffered hallucinations, she’s the precursor and a counterpoint to Lauren, who is a grounded, capable, loving woman burdened by an enormous responsibility for her whole family. Jeanne d’Arc becomes a saint the way most saints do — connection to religious phenomena, and terrible torture. Lauren’s view of religion is cynical at best and often hostile, but she holds things sacred and makes sacrifices, she’s inspired by holy music and recognized for her gifts, she’s rational and practical, but is transformed by her service in the military, imprisoned by the needs of weak men around her. And unable to break free. The actual physical site is a mirror of the place she came from. These reflections and poles and “distorted mirrors” are an essential part of the narrative. The relationship between Lauren and her younger brother Danny is central to the story and her motivations. Danny seems to be her reason for living, the way spouses or lovers often are for those at war, rather than her boyfriend Shane or her parents. Danny is such a special kid, a really well-drawn and memorable character. How does her love for Danny anchor her through her post-war storm? Thank you. Danny and Lauren have a bond based on intellect and humor. They’ve cared for each other emotionally while their family was disintegrating, and Lauren has provided for Danny materially. Her main motivation in life is that he should do better than her, he should have everything, be happy, see beautiful things. Understand the world better. She believes deeply that Danny, if well cared for, has the power to transform the terrible environment they come from. Seeing him do well and preventing him from experiencing pain is her commitment to staying in the world. Whether she’s able to keep that commitment is the primary question of the novel. There are certainly some memoirs and non-fiction accounts of war by women, which is a good thing. But it’s going to take about a generation, and a lot more women publishing fiction, before we can see if there’s truly a distinction [between war novels by men and women]. There are other novels about soldiers suffering from PTSD. But what I especially liked about Be Safe I Love You is that much of the stress in Lauren’s life is caused by her family’s situation and her relationships with her parents, rather than just her nightmarish experiences in Iraq. I loved the family scenes, which reminded me of the realism of Russell Banks and Richard Russo, who are the bards of rural upstate New York. Thank you, Bill. I am very flattered to be compared to those guys. I love them both, and obviously we come from the same environments, so we are describing some of the same landscapes and poverty-related issues. A person’s early environment is a big contributing factor in PTSD, but I’ve yet to read anything about war that really explores that, and I wanted to write about it. 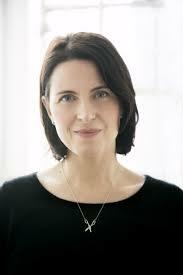 You have a distinctive prose style that is both muscular and lyrical. I was occasionally reminded of James Agee’s writing in A Death in the Family and Let Us Now Praise Famous Men (although you avoid his Faulknerian sentences). Did you begin as a poet? Do you write poetry as well as fiction? When I was a child I wrote poetry. The language in Be Safe all has a particular lyrical sense and meter and dynamic because I wrote it to mirror musical composition. I wanted it to be like a song. The phrasing and prose is very deliberate, but the language is not “tarted up like Faulkner,” as my brother likes to say. What would you say distinguishes the recent flurry of books by female authors about the Iraq and Afghanistan wars? What do women have to say that male authors don’t (or at least haven’t said yet)? I don’t think we’ve seen enough fiction about war written by women to know if there is a difference yet. There are certainly some memoirs and non-fiction accounts of war by women, which is a good thing. But it’s going to take about a generation, and a lot more women publishing fiction, before we can see if there’s truly a distinction. I would say in general so far, there’s less aestheticising of violence done by women war writers. They don’t lovingly linger over the carnage, you don’t get the ambient sense of solipsistic machismo from it. There’s a maturity to it, less ambivalence. They’re not writing about being victims of the killing they signed up to do. If you could put one book in the hands of President Obama, the Secretary of Defense, the Joint Chiefs of Staff, and members of Congress, what would it be, and why? Would you want every American to read it as well? I would want every American to read Close to the Knives by David Wojnarowicz. It was written at a time when the U.S. government actively contributed to a plague raging unchecked throughout the world because they thought it would only kill queer people. The book is so filled with transgressive beauty, it’s staggering. I cry every time I read it. What have you read recently that you recommend? Well, thank you. That’s a pretty big question. I didn’t like school from an early age because it interfered with the things I wanted to do and study. I was always working on a number of projects and ideas as a kid and an adolescent; and living upstate, going to schools with no funding and terrible teachers, was an immense drag. Deadening. I started skipping school in 9th grade, only going when there were tests, so I could maintain good grades. I read independently and did no homework, focused on voice lessons and music theory, reading literature, and writing. By 10th grade I went only for extracurricular things I was involved in—Allstate Choir or Model UN, I was still enrolled in AP classes and getting college credit. Finally I dropped out, got two jobs and my own apartment, and began writing. I worked seven days a week in a restaurant, and later in a bookstore. When I saved enough money, I left the country, but quickly learned that to make it on my paltry $1,500, I’d need to live in a squat or sleep outside, and that meant getting somewhere warm. I lived for quite a while in Athens, Greece working under-the-table jobs and then later in Israel, working in an orchard and on a landscaping crew and meeting my son’s father, who was also a musician. When I came back to the States three years later, I’d nearly a whole manuscript and enough material for a lifetime. I’d also soon have a baby, but no means to support him, so I took a job for a weekly independent delivering papers, hounding the editor to let me write. Eventually a staffer couldn’t make it to cover a Teamsters’ strike and I got sent. It was my first assignment, and I actually had my baby with me. After that the editor put me on a beat covering environmental issues. I worked there for four years, moving my way up to the City Desk, amassing enough clips and doing enough investigative work to eventually get a job at a daily covering government and crime. The whole time I was also writing fiction, reading lots of great stuff like Jean Genet and Celine and Zora Neale Hurston. The idea of studying any of these things at school seemed ridiculous and I never would have applied to graduate school at all, but I wanted to teach community college, and needed a MFA to do it — so I applied to the only school I was philosophically interested in (Goddard, which comes out of the tradition of John Dewey and the idea that education and experience are intricately linked). I was accepted based on a portfolio of fiction. So Much Pretty – which was based on an abduction and murder I covered in my early 20s — sold the third semester of school, but I still wanted to teach. Community colleges are simply amazing places for dialog and social change, and class issues are not swept under the rug. They’re full of organic intellectuals, people who’ve had to work hard their whole lives, and generally have a depth of emotional and experiential intelligence that makes them some of the smartest, quickest people I’ve known. After I’d lectured at places like Cornell and Oxford, I valued my students and work in the Bronx more than ever, and was grateful I’d gotten the degree. What are you working on now, or what do you have in mind for your next project? I’m writing a novel about homeless bookish kids living in Greece, a woodland fire fighter living in the Pacific Northwest, and the poetry of John Donne. 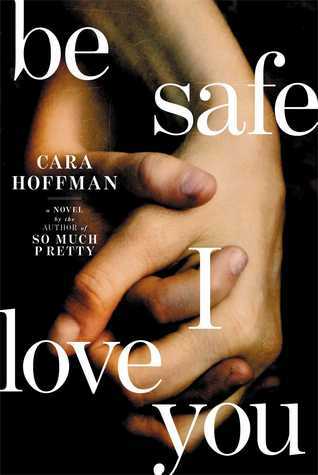 Cara~I have just started reading “Be Safe I Love You.” I am so impressed and completely engaged in this story of yours! I am a visual artist and not a wordsmith as you are so I have a hard time describing my feelings with words. Anyway, I am thrilled to have found your work and look forward to reading your first novel and all that will be coming in the future!